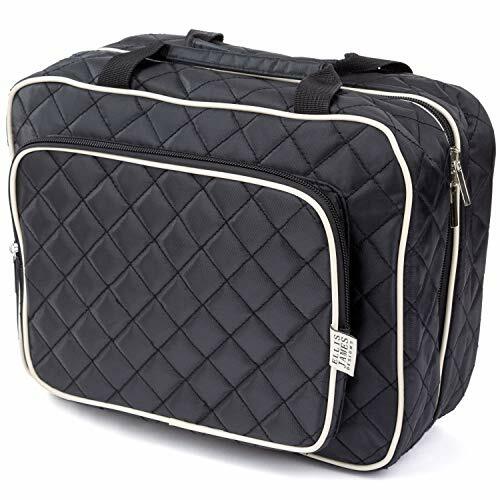 The Gorgeous Ellis James Designs Large Travel Toiletry Organizer Bag gives you enough space to pack without compromise. From the elegant exterior, to the functional pockets and holders, the design is inspired by YOU! Whether used as a travel toiletry bag, cosmetic make up bag, wash bag - you can truly make your bag yours! Want to store your nailpolish, moisturizer, compacts, oils & lotions, anti-aging cream, mascara, eye-shadow, perfume and more? And we haven't even mentioned your beauty tools, like your hair brush, hair dryer, hair straighteners, mirror, makeup brushes and the rest! It's the essential designer Toiletry bag that gives you "Luxe for Less"
COMPLETE FLEXIBILITY WITHOUT COMPROMISE - We believe in "Your Bag, Your Way" at Ellis James Designs. Whether travelling, at the gym, or overnight trip - take anything, take everything!